Dental tourism is a form of medical tourism that has become more popular over the last years. Romania is a famous destination for dental treatments abroad because it offers a very affordable price-quality ratio and it is easily accessible from any European country. Dental patients from Italy will find it easy and convenient to visit Romania in order to solve any existing dental issues. 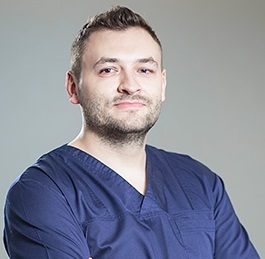 Our dentists in Bucharest are professionals who work with dedication and care. They are accustomed to receiving patients from all around the world in a modern and central-located dental clinic. Cosmetic dentistry is one of the most requested procedures by local and foreign patients. Everyone wants a beautiful smile and in Romania prices for teeth whitening are 230 euros. Professional brushing is as low as 30 euros and the same price applies for airflow prophylaxis. Compared to Romania, prices for teeth whitening in Italy can be as much as 470 euros. 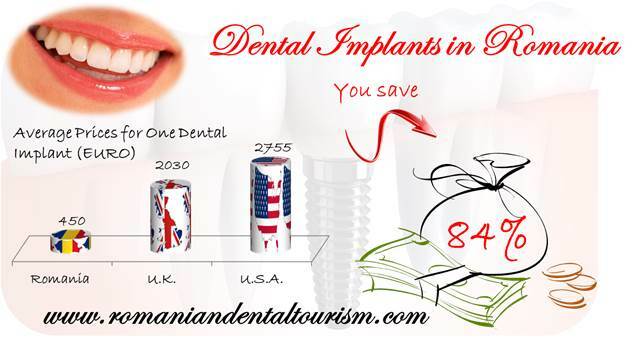 The costs for dental implants in Romania will vary according to the technology used and the additional surgical procedures (if needed). A high quality dental implant will start at 450 euros. 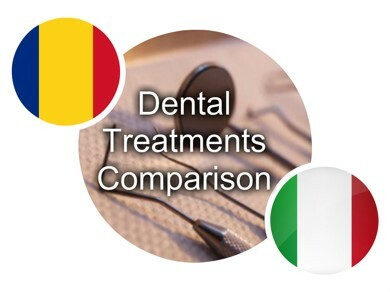 In Italy, the starting price is around 600 euros to which the cost for dental crowns is added. Romania is easily accessible from Italy by plane, train or personal car. Most tourists travel by plane and if the dental trip is planned in advance the fares for airplane tickets can be very affordable. Moreover, the country can be visited all year round and tourists can enjoy nature walks or city breaks in popular cities like Sighisoara or Brasov. A night at a hotel in Bucharest will cost around 40 euros, depending on the season. In Rome or Milan the price will be around 50 euros. Transportation in Bucharest is known to be very affordable, with only 0.30 euros per kilometer for a taxi ride and even less for a one-way bus ticket. Our team of dentists offers a wide range of dental services. You can submit an inquiry for our service packages or you can contact us for more information about how to plan your dental trip to Romania.